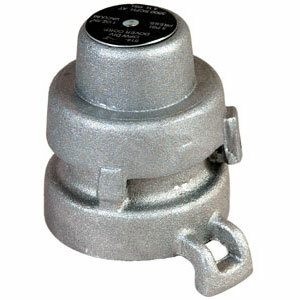 Cap body: High-tensile aluminum alloy construction. Has straight pipe threads with Nitrile® for tight seal to tank. 2″ – 11-1/2″ NPSH threads. Easy Installation – The 514F is available in 2″ (11-1/2″ NPSH) female straight threads with a Buna-N gasket. Lockable Base – A provision for padlocking the vent to the tank is integrated into the base.